maintain your mobile shredding fleet. 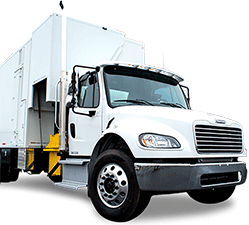 We sell parts for nearly every model of Shredfast and Shred-Tech mobile shredding truck. 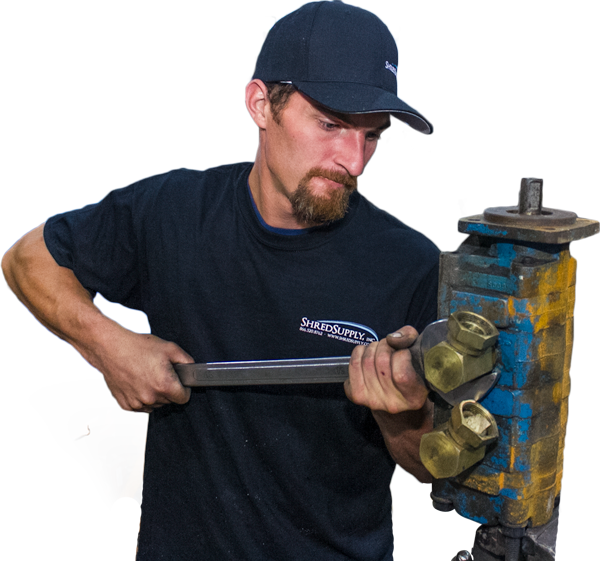 Our Parts Department makes purchasing easy, and they’ll get the parts you need fast, guaranteed. Have a truck that is out of service and needs an interim solution? Need to accommodate the upcoming purge season? Whatever your reason, ShredSupply rentals are your answer! 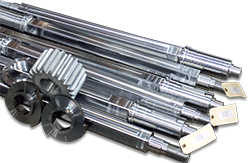 Downtime from breakdowns can quickly eat into profits. Our highly trained service technicians can service your paper shredding truck or mobile collection truck on-site or off-site and have it on the road fast. Refurbishment is the process of taking your existing mobile shredding truck and completely rebuilding worn and aging components to give you all the advantages of new equipment while saving you thousands of dollars. Our team’s collective experience working with shredding trucks is second-to-none. As a shredding truck dealer, we are able to offer you more with every purchase. With locations in WA and TX, we can provide service you need at a location relative to you. We’ll be upfront with you every step of the way. You can count on that. Dealing with ShredSupply was a pleasant experience. Our immediate need for an additional shredding truck was accomplished in a week. In addition, the truck and shredding equipment detail reconditioning exceeded our expectations. Thanks for providing an avenue for guys like me to enter this industry in a cost-effective manner. As a start-up, I don’t see any reason to look elsewhere for mobile shredding trucks. Dollar for dollar, the trucks you sell are a better value than new equipment. 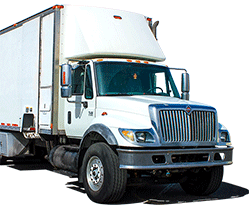 ShredSupply quickly found us the perfect truck and made the entire transaction go as smooth as possible. They followed through on all promises from the start of negotiations to delivery of the truck. Thanks ShredSupply for helping us add another truck to our fleet! The customer service has always been great! If I ever have any questions about the trucks, ShredSupply is quick at getting back to me and helping me work through the issue. I feel like we just put a brand-new unit into service and yet we saved approximately $50,000. Our drivers are happy, and our financials look good. I’ve bought three trucks from ShredSupply… I’ve had the competition call me but I’ve never considered them because of the customer service I’ve received from ShredSupply.